Parenting is a challenging task. As a single parent, how can you juggle work, parenting, and possibly college studies single-handedly and still manage to be an ideal parent for your child? Read the 65-page eBook Single Parenting Becoming The Best Parent For Your Child to find out how. Loaded with tips, it can inspire, empower, and instruct you to successfully face the challenges of parenthood. * How Do Single Parents Find People To Date? 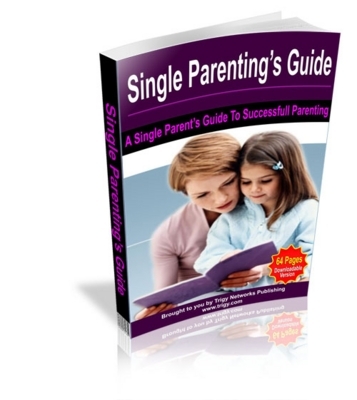 Get Your Own Copy Of Single Parentings Guide Now!